As with most things football related in Germany, the Revierderby has a long and proud tradition. It’s a monumental game for all those involved in two of the Bundesliga’s biggest clubs. Both boast a huge following in Germany’s industrial heartland and the fact that hundreds of amateur games in the region were either cancelled or rescheduled to avoid clashing with Sunday’s game perhaps provides an indication of how much it means. The reverse fixture at the Westfalenstadion earlier in the season ended in a dramatic 4-4 draw. Dortmund led 4-0 at half-time in that game, before Schalke incredibly fought back to earn an unlikely point. Much has changed since then, Dortmund have sacked coach Peter Bosz and temporarily replaced him with Peter Stöger, they have suffered a humiliating exit from both European competitions and struggled to sustain any rhythm in the Bundesliga. Schalke, on the other hand, have found that elusive consistency they often strived for and have continued to improve under Domenico Tedesco. This has seen them establish themselves in second position in the table. Whilst Dortmund have kept pace, it’s fair to say more was expected of this Dortmund squad, in what has been a frustrating season. So, with just one point separating them at kick off, there was so much more riding on this game than local pride and bragging rights. 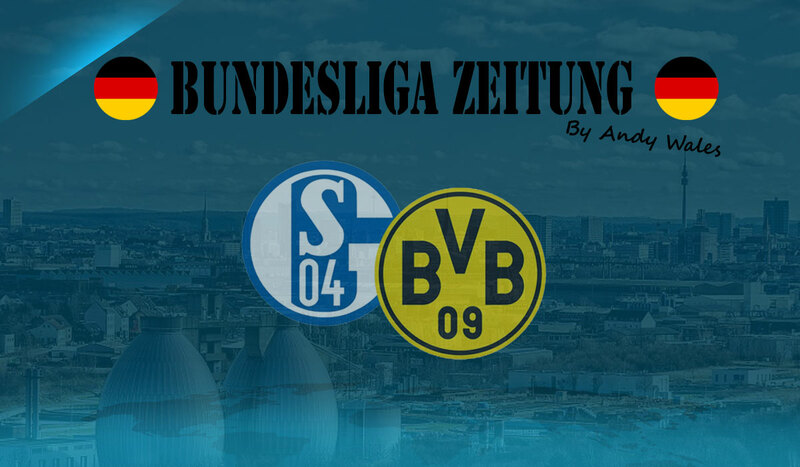 Last week’s shock defeat for Schalke allowed Dortmund the chance to overtake their great rivals, but only with victory and the performance that would require. The first half started as a tight tactical battle, but slowly began to open up. However, opportunities were few and far between, so it was little surprise we went in goalless at the break. It didn’t take long into the second half for things to change though. Marcel Schmelzer was caught napping on the ball and Schalke quickly broke before Yevhen Konoplyanka fired the home side ahead. The goal forced Dortmund to open further and every misplaced pass or dwell in possession became an opportunity to press and break on their increasingly nervous visitors. With time running out, Dortmund still looked the less likely to score and was little surprise that the next goal went to Schalke. The ball was laid off from a free kick and Naldo, the hero of the 4-4 comeback in November, hit an absolute bullet of a shot from almost thirty yards out. Even this failed to muster a response from Stöger’s team in what was an introverted performance. It ended on the low point of Michy Batshuayi being stretchered off injured on a miserable afternoon for the yellow and black fraternity. It was a below par showing from Dortmund in what was an underwhelming match, not that Schalke will, or even should, care. This game was another example of why Stöger is unlikely to see his reign extended beyond the end of the season. Also, why whomever Hans-Joachim Watzke and Michael Zorc choose to appoint as boss must be the right man, or questions will be asked of their respective positions. For Schalke though, everything is looking positive now, after their first Revierderby win in almost four years. The club appears to finally be moving in the right direction and the team are now four points clear of third placed Bayer Leverkusen in the race for Champions League football. Speaking of Leverkusen, they followed up an impressive 4-1 victory in the Monday night football away to RB Leipzig with another 4-1 victory. This time, they vanquished the unlikely challengers for European football, Eintracht Frankfurt. Whilst it was Leverkusen’s rising stars that grabbed the headlines against Leipzig, the win over Frankfurt was dominated by a Kevin Volland hat-trick. All this came less than 24 hours after it was revealed that Frankfurt coach Nico Kovac would be taking over the reins at Bayern Munich this summer. If this announcement had any affect on the Frankfurt team, Leverkusen took full advantage and now find themselves ahead of the aforementioned Dortmund, on goal difference. The contrast in fortunes this season between Dortmund and the two teams immediately above them in the table are apparent. Whilst Dortmund have the more talented squad of players, they’ve too often flattered to deceive and have struggled to find any of the rhythm or style usually attributed to them. 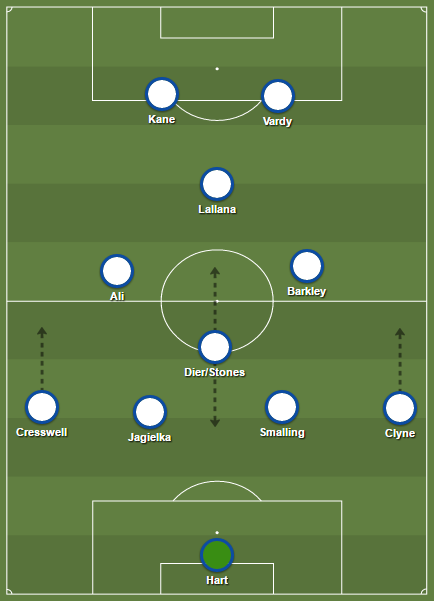 They appear to be a team that’s lost its way and in search of its identity. Have they under-delivered? Without doubt. Compare that with Schalke and Leverkusen, who both have talent within their squad, but not the depth to which Dortmund possess. Leverkusen have long established their identity and Schalke appear to have found theirs; both have had issues with consistency in recent years but have improved upon it during this campaign. So, have they over-delivered? I think it’s fair to say yes. The Revierderby ended up being an almost “regulatory” win for Schalke. In a “one-off” game, that can happen, but this didn’t feel like a freak result or performance. To suggest there has been a power shift in the Ruhr is probably premature, but Schalke deserve to be where they are right now and will almost certainly be playing Champions League football next season. Dortmund are far from down and out at this point, but they still have work to do if they are to solidify their top four place. I’ve already mentioned here, and previously in this this column, the scope of the work required at Dortmund this summer. What will also be interesting is how Tedesco and Schalke follow up this season they are having and if this win and this campaign can be a platform for the club to continue progressing.